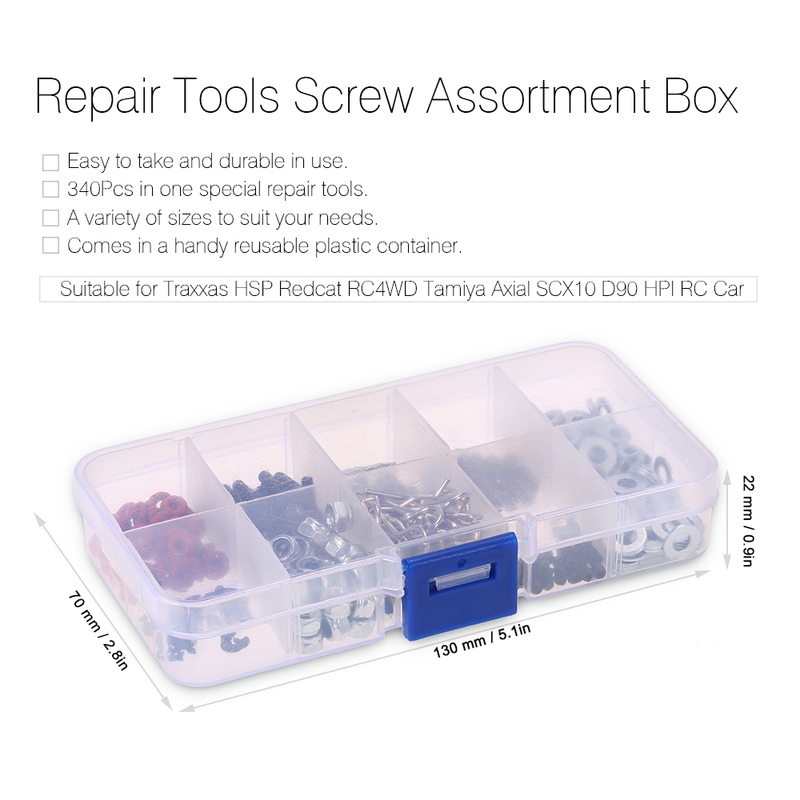 This screw box set is suitable for Traxxas HSP Redcat RC4WD Tamiya Axial SCX10 D90 HPI RC Car. 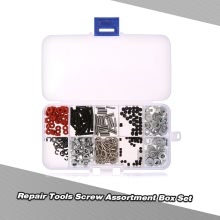 340Pcs in one special repair tools. 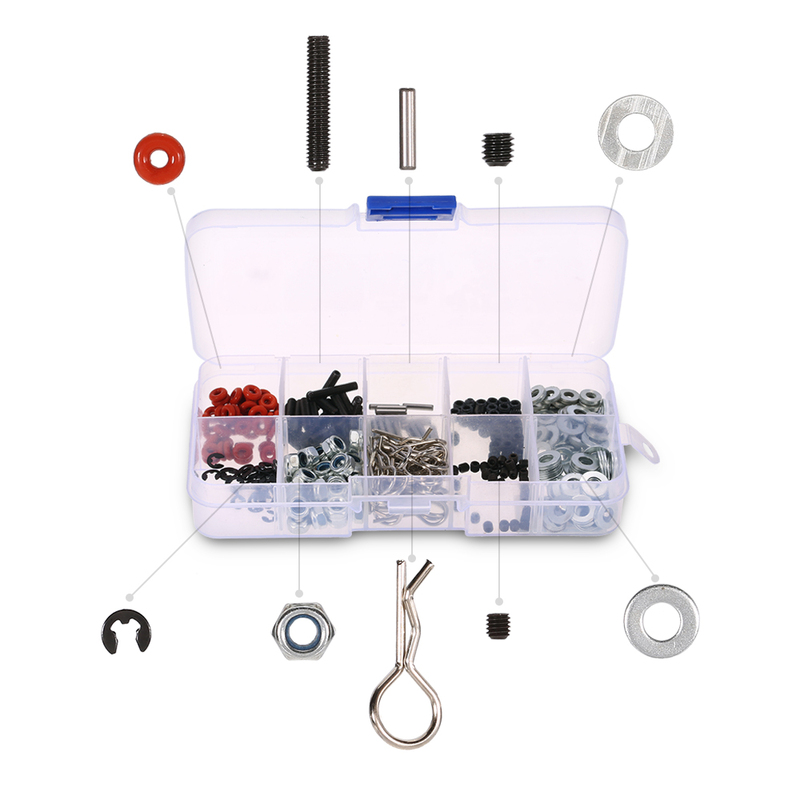 Easy to take and durable in use. Comes in a handy reusable plastic container.